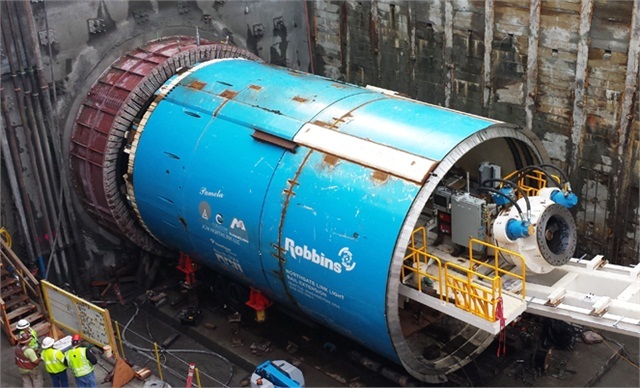 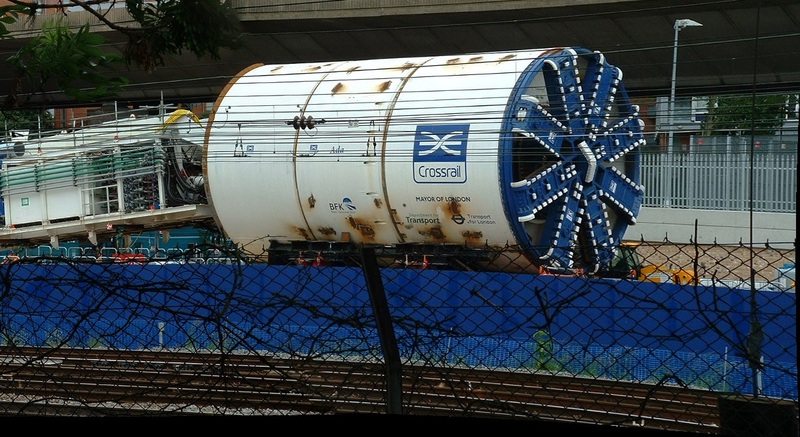 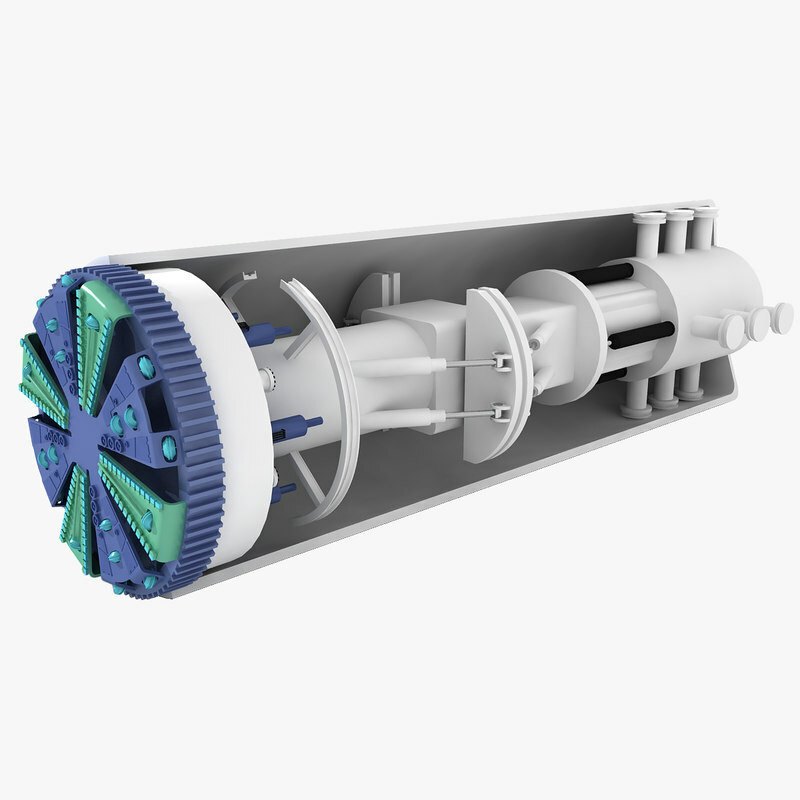 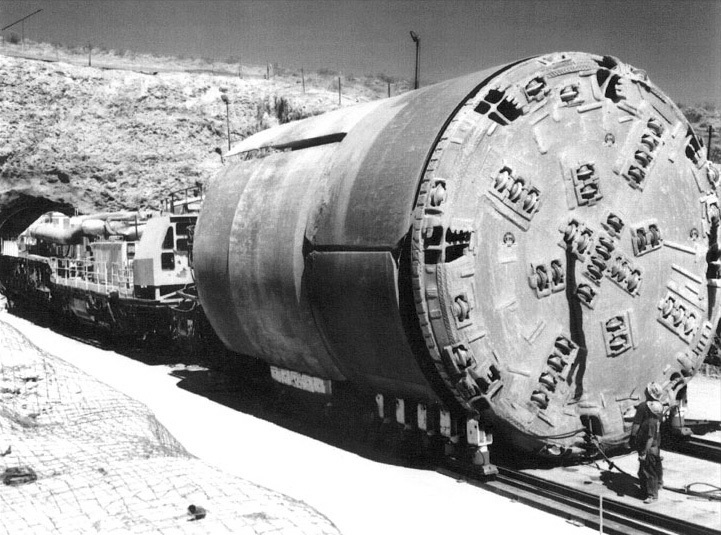 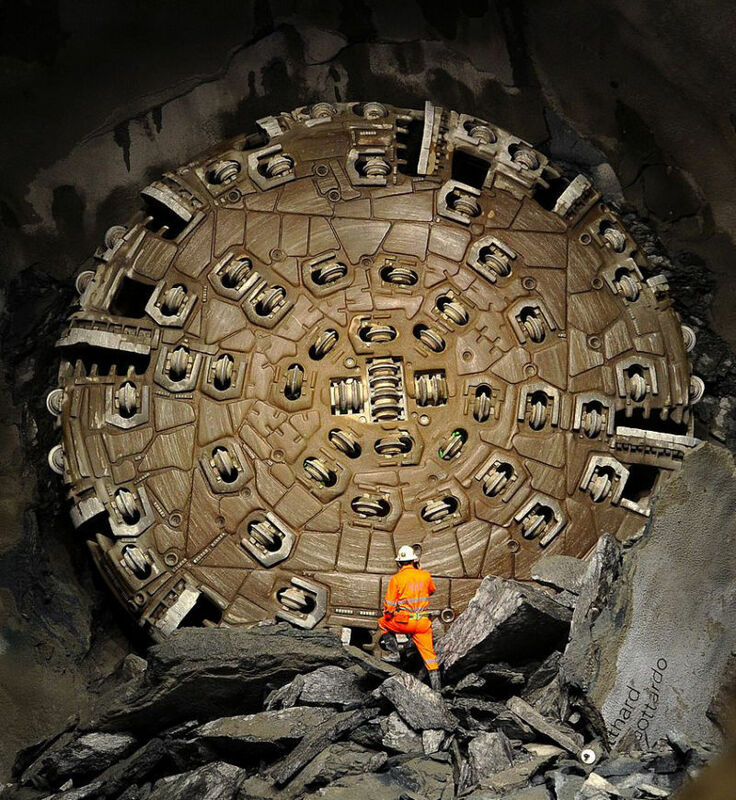 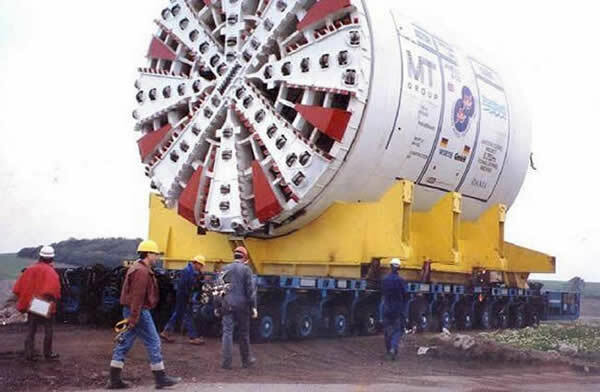 A tunnel boring machine (TBM), also known as a "mole", is a machine used to excavate tunnels with a circular cross section through a variety of soil and rock strata. 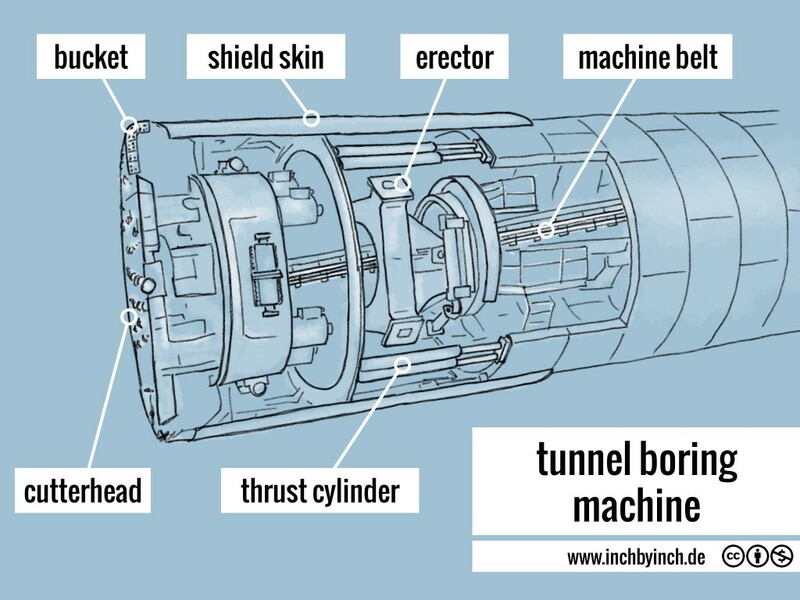 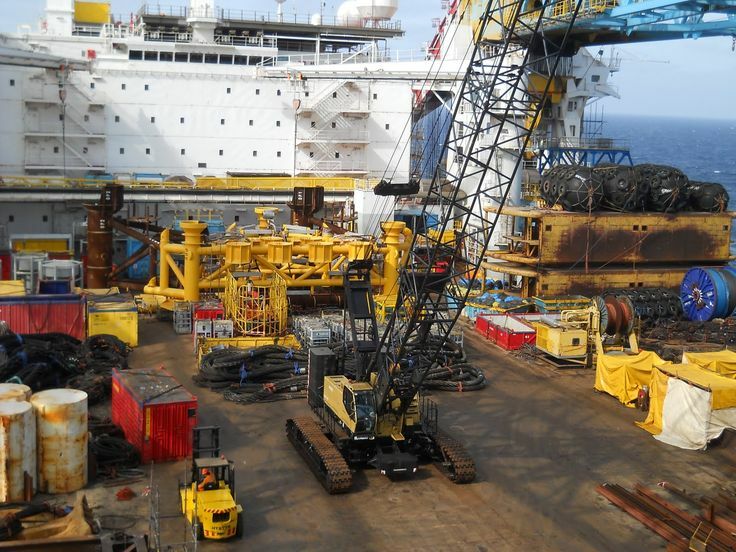 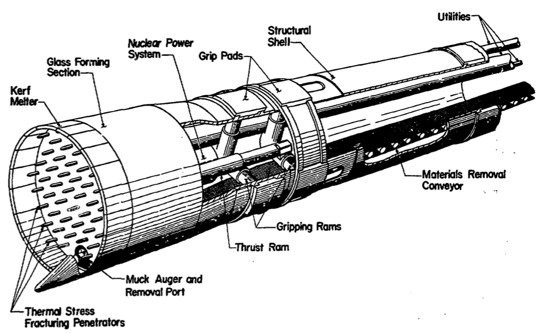 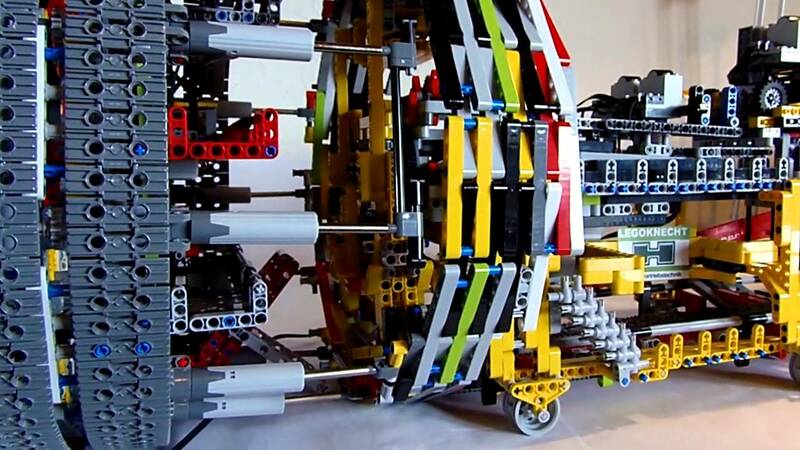 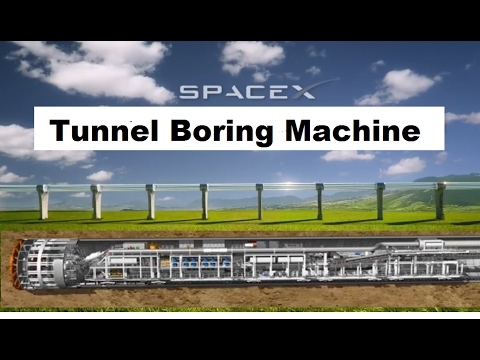 They may also be used for microtunneling. 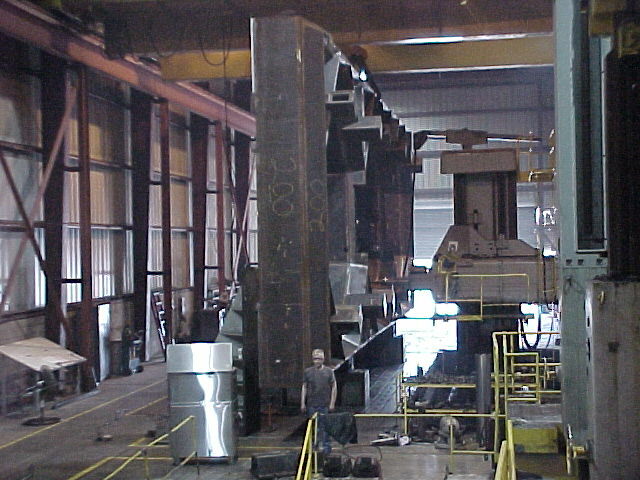 They can bore through anything from hard rock to sand. 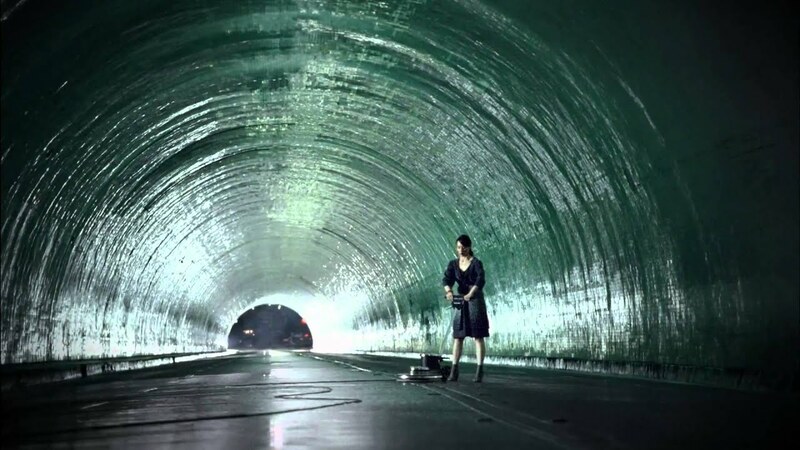 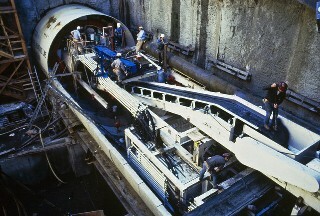 Tunnel diameters can range from one metre (3. 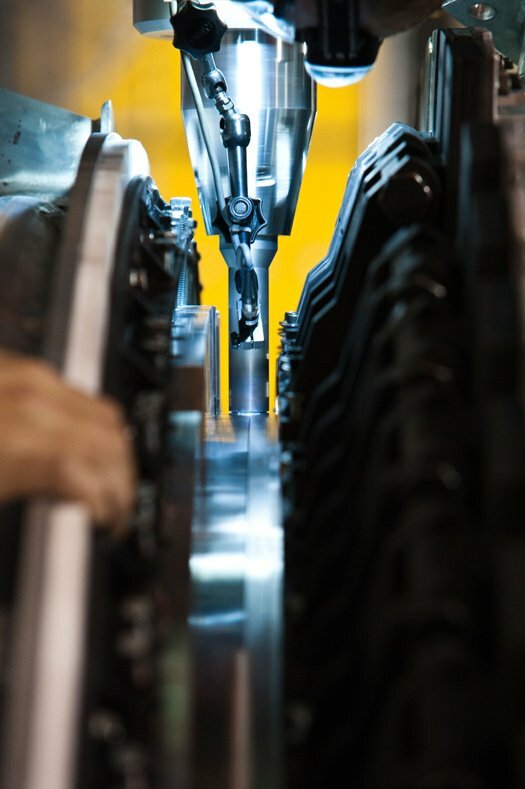 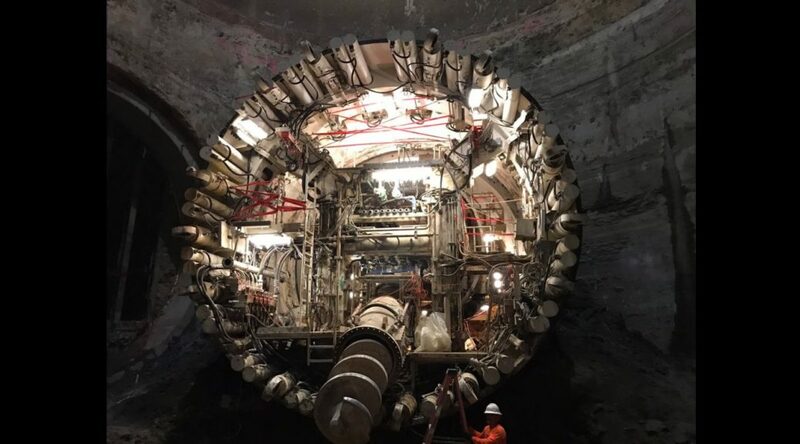 3 ft) (done with micro-TBMs) to 17. 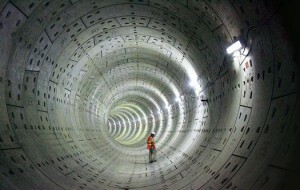 6 metres (58 ft) to date. 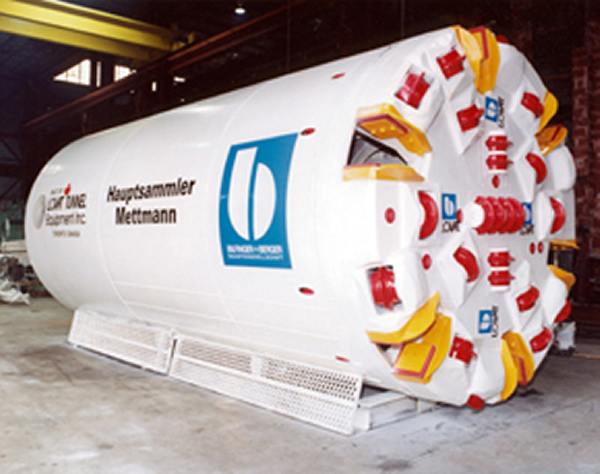 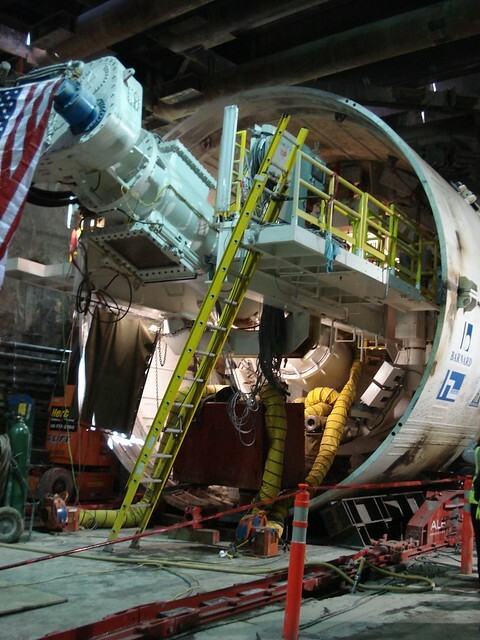 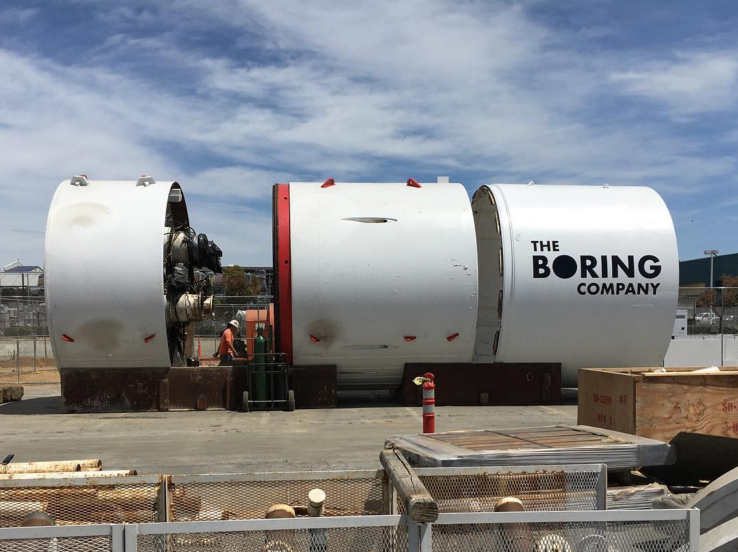 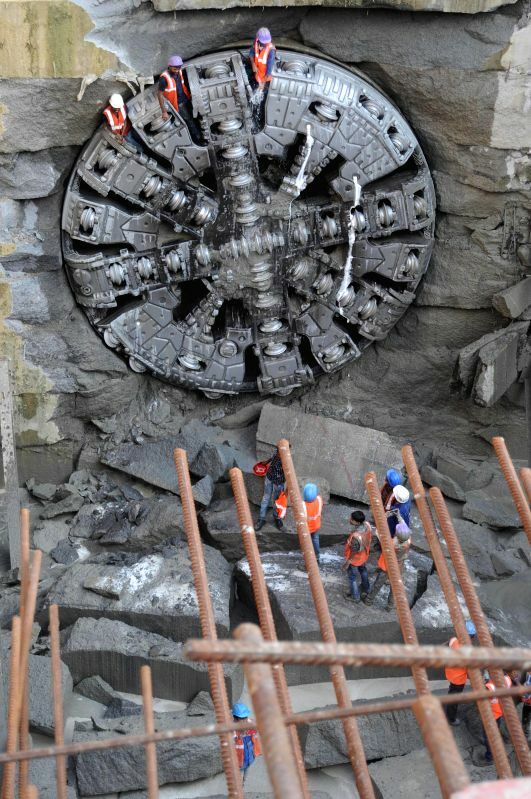 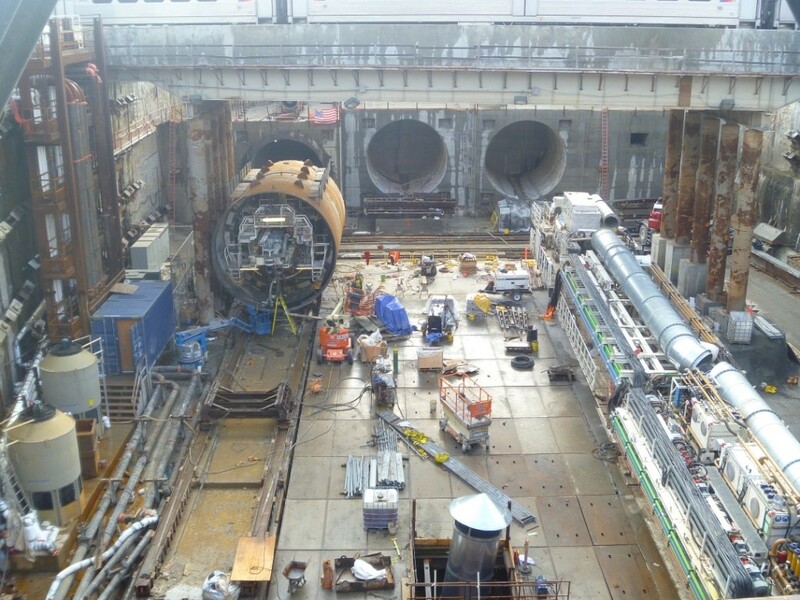 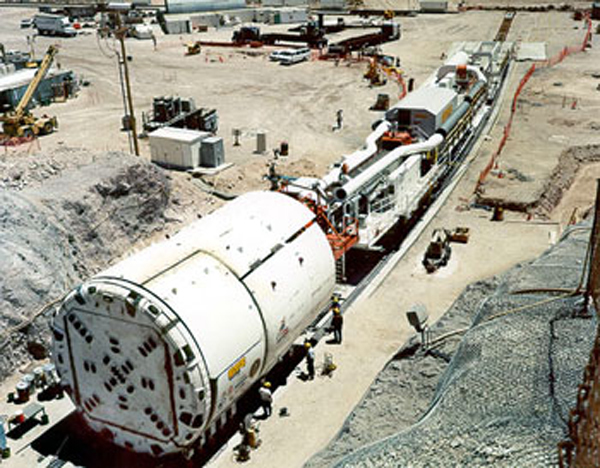 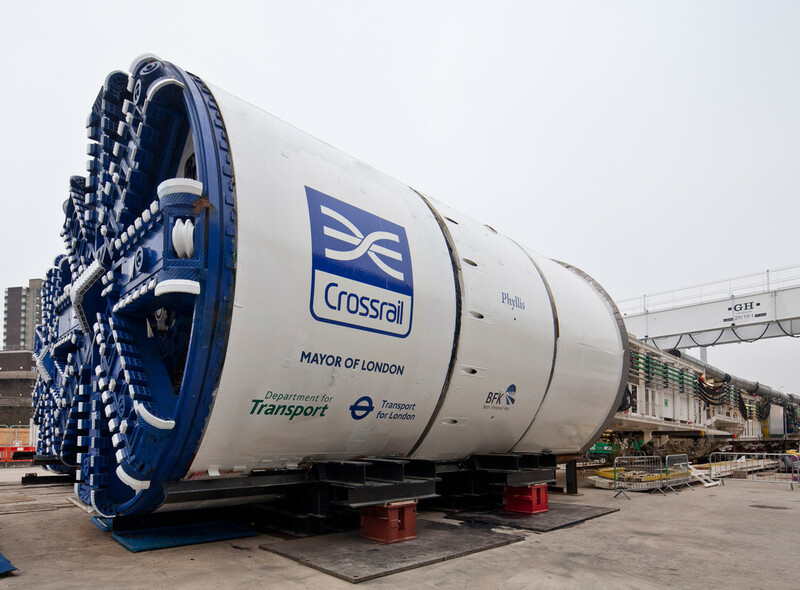 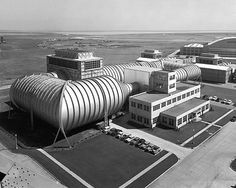 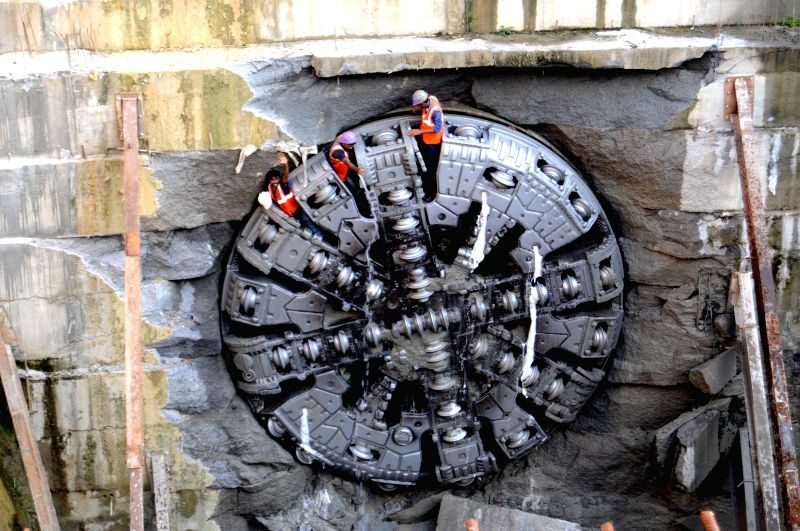 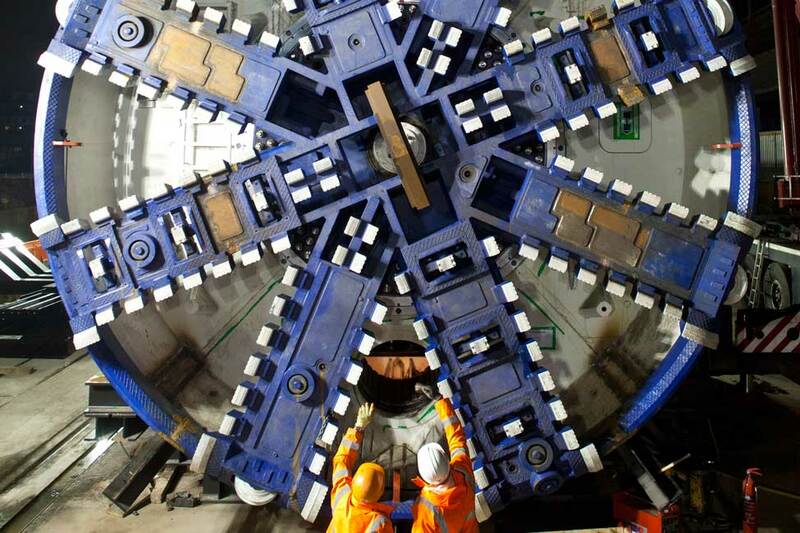 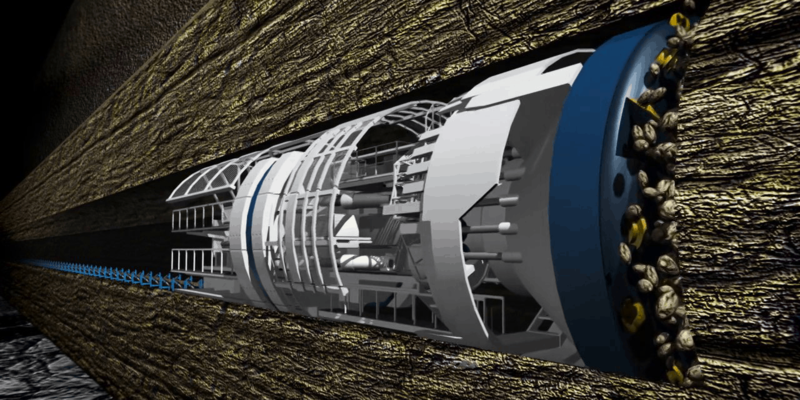 Tunnels of less than a metre or so in diameter are typically done using trenchless construction methods or horizontal directional drilling rather than TBMs.